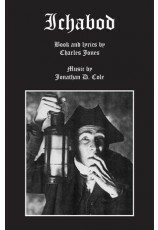 Here is the spooky classic story by Washington Irving, presented with all the thrills, chills and laughs that keep young audiences on the edge of their seats. The storybook tale revolves around the main characters—the bumbling, awkward schoolteacher, Ichabod, the coquettish Katrina and Ichabod's brutish rival, Brom Bones. There are also six characters who play storytellers, keeping the action and pace moving throughout. As much fun as the play presents, it saves the best for last—the ride of the headless horseman. 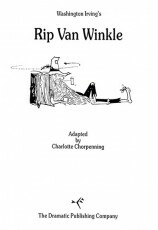 This adaptation remains dedicated to the spirit of the original work yet expertly involves young people with lots of suspense and comedy. 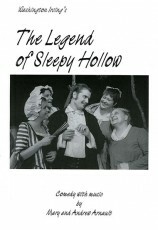 A perfect Halloween treat, The Legend of Sleepy Hollow is exciting family entertainment any time of the year. Suitable for touring. 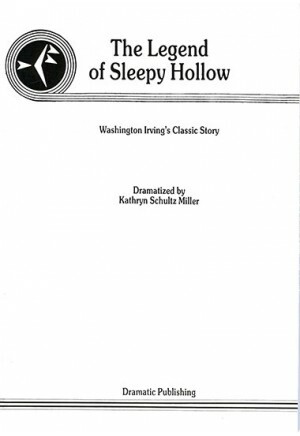 "The Legend of Sleepy Hollow, dramatized by Kathryn Schultz Miller, is a comedic take on Washington Irving's classic story. The script is perfect for a high school group's first show of the year. We had inclement weather that removed an entire week from our rehearsal schedule and I am so glad I selected this version because we were still able to pull it all together beautifully. " 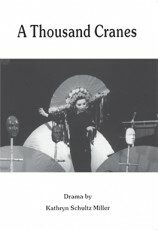 Review by Madia Medico, Richland Northeast High School, Columbia, S.C.
"The audiences loved it! 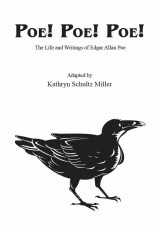 By far one of the best adaptations of Washington Irving's classical work!" 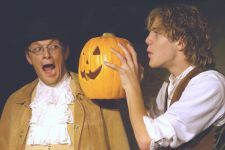 Review by Grace Sayers, Storybook Theatre Co., DeLand, Fla.
"The script is quick and lively, taking the audience on a journey through history that will leave them shaking in their seats!" 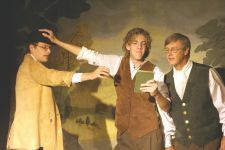 Review by John Dolphin, Pine-Richland Middle School, Gibsonia, Pa.
"A fun and funky adaptation of this classic tale—simple to stage and popular with audiences due to plenty of comedy!" 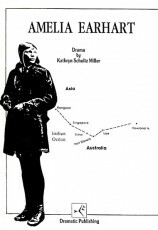 "The timing of this production and the play couldn't have been better. We had to add three performances to accommodate all those schools who wanted to come. We had 3rd grade to 8th grade in attendance and they screamed and screamed when they saw the headless horseman. One parent told me it was their best field trip so far." 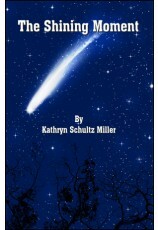 Review by Becki Bradford, Chattanooga State Drama Club, Chattanooga, Tenn.
"A delightful show that packed the house. Enjoyed by children of all ages. Working in a 35-seat black box presented some technical challenges, but also allowed us to be creative and ask the audience to use their imagination!" 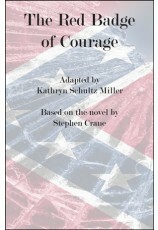 Review by Sheila Freudenberger, Orange Curtain, San Juan Capistrano, Calif.
"A huge success at our theatre with sell-out crowds. We kept production values simple, so it was an easy extra on our season slate that may well become an annual tradition." 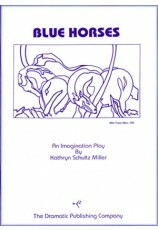 Review by Gregory Magyar, Edmonds Driftwood Players, Lynnwood, Wash.
"I love this version for children's theatre. 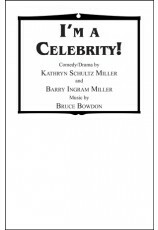 I have been involved with four different productions of this show and enjoyed it each time!" 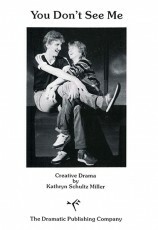 Review by Melanie Sweeney, Paramount Arts Center, Ashland, Ky.
"Trying to get high schoolers to understand why the funny moments are funny could be a challenge if your actors are beginners to theatre. We kept the set very simple and the props are already simple for this show. The most difficult part to stage is the famous chase scene with the headless horseman, we were fortunate enough to borrow a headless costume from a nearby theatre and a horse that was used in Shrek the musical. I staged it so the Headless Horseman and Ichabod get off of their horses so the chase could happen on foot. The storytellers are great characters, the biggest challenge for their characters is casting actors who are natural story tellers and not just line repeaters. " Tip by Madia Medico, Richland Northeast High School, Columbia, S.C.
"We used black light and strobe with glo-paint for special effects. It worked well." Tip by Sheila Freudenberger, Orange Curtain, San Juan Capistrano, Calif.
"Strobe light adds special effects to the Headless Horseman and blacklight and glu-paint add to the effects of the Lady in White and Major Andre." 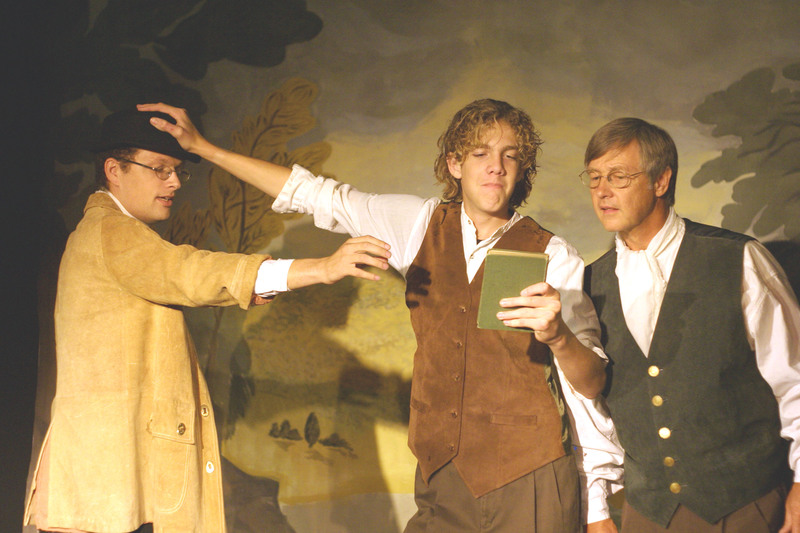 Tip by Sheila Freudenberger, Orange Curtain Theatre, San Juan Capistrano, Calif.
"We used sculptural trees on casters in our production, which made staging the famous ride fun for the actors as well as the audience." 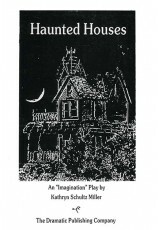 Tip by Gregory Magyar, Edmonds Driftwood Players, Lynnwood, Wash.